Frenkie de Jong is fit to play for Ajax against Real Madrid in the Champions League last-16 first leg on Wednesday (kick-off 8pm), boss Erik ten Hag confirmed. However, last season's Eredivisie runners-up are unbeaten in the competition this season and finished just two points behind Bayern Munich in Group E on 12 points. Ten Hag said: "Frenkie [de Jong] is fit; he is looking forward to the game, just like we all are. "Top teams can play very offensively, but also shut up tight and then break at pace. Real Madrid have a very experienced team, with guys like (Sergio) Ramos, (Toni) Kroos, (Luka) Modric and (Karim) Benzema, but also a good mix. "It is going to be a great challenge for us to achieve something positive. We know we can be strong on this stage, and certainly in Amsterdam." He said: "Marcelo is a great player. He's our vice-captain and he always puts Madrid first. He's training very well. "When you lose everything's bad and when you win everything's good. Tomorrow is an important game and that's what our focus is on." "We have great memories of this stadium. Let's hope that continues tomorrow. They're a side who link up well, build the play well and have good players. You have to respect every opponent. I hope we produce a performance as serious as we did three days ago." De Jong is set to feature in Wednesday's Champions League last-16 first leg against Madrid. 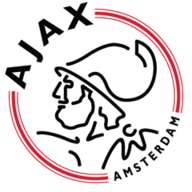 Ajax also have concerns over the fitness of Nicolas Tagliafico, who completed Saturday's match but has been battling with a knee complaint, local media reported. Jesus Vallejo and Luca Zidane are both ruled out (hamstring). Isco was not included in Real's 23-man squad as he has a back and neck injury. 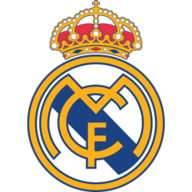 There's only ever been one draw between Ajax and Real Madrid - it came in their first ever competitive encounter, a European Cup first round match in Amsterdam back in 1967/68 which ended 1-1. The opening goal of the game was scored by Johan Cruyff. Ajax were one of five teams to remain unbeaten in this season's Champions League group stages, along with Barcelona, Bayern Munich, Lyon and Porto. Ten of Ajax's 11 goals in this season's Champions League have been scored in the second-half (91%). Meanwhile, 80% of goals conceded by the Dutch side have come from set-piece (4 out of 5). It's been 22 years since Ajax progressed through a Champions League knockout stage - it was in the 1996/97 campaign when the Dutch side overcame Atlético Madrid in the quarter-finals before being eliminated by Juventus in the semi-finals. Real Madrid had more shots (120) and touches inside the opposition box (237) than any other team in this season's Champions League group stages. Dusan Tadic has scored five of Ajax's last six goals in the Champions League. He has the best conversion rate of any player with at least five goals in this season's competition, finding the net with 45% of his shots (5 out of 11). Gareth Bale has scored five goals in his last six Champions League games, that's as many as in his previous 32 appearances in the competition. However, he's found the net in only two of his last 23 knockout games, both times in the final (2014 and 2018).